Argentina are on the verge of World Cup elimination after losing 3-0 to Croatia. In a first half where both defences looked ropey, Perez and Mandzukic both had chances to put their teams ahead. Luka Modric made it two with an incredible piece of skill, curling a shot finely inside of the post leaving Caballero no chance. A shell-shocked Lionel Messi was powerless to prevent the Albiceleste from slumping to defeat. And the two-time world champions are in real danger of becoming the first giant to exit the finals. 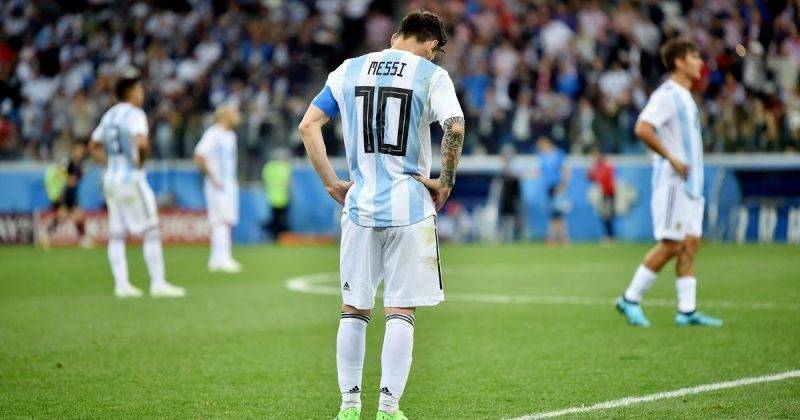 Messi, who could retire from international football after the World Cup, cut a forlorn figure as Argentina slumped. After such a disappointing display against Iceland in their opener, Sampaoli has ripped up the playbook. He was always going to make changes for this game and had planned for a different strategy when scheming for this tournament back at Argentina’s Ezeiza training base on the outskirts of Buenos Aires. But this team is different from those long-lost thoughts. Enzo Perez, Gabriel Mercado, Nicolas Tagliafico, Maxi Meza and Marcos Acuña are not exactly household names but they were selected ahead of a raft of superstars on the bench, including Gonzalo Higuain, Angel Di Maria, Paulo Dybala, Giovani Lo Celso and Ever Banega. Then there’s Cristian Pavón, arguably Argentina’s most dangerous-looking player not called Messi in the first game. It was bold – but the line between bravery and insanity is narrow. Sampaoli fell onto the wrong side of it on a night when he called for the big names after the no-marks had failed to fire. It was as poor a display as you could have ever expected from Argentina and the likes of Perez – not even in the 23-man squad until Manuel Lanzini’s injury – were found wanting. 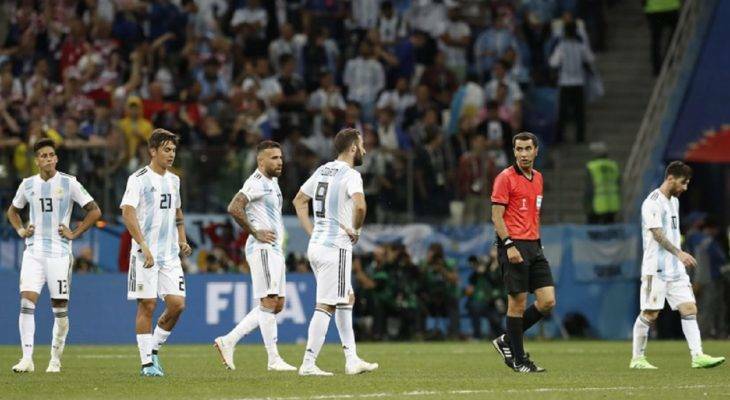 Meza simply did not have the required quality while Dybala was made to warm the bench until 68th minute as the tragedy unfolded and Cristian Pavón denied another start despite having an impressive game against Iceland.